Willow, now Grace Willow goes HOME! One of our greatest cheerleaders, Amy, saw this beautiful girl’s story on Facebook and drove up the same day to meet her at our PetSmart adoption event last weekend! 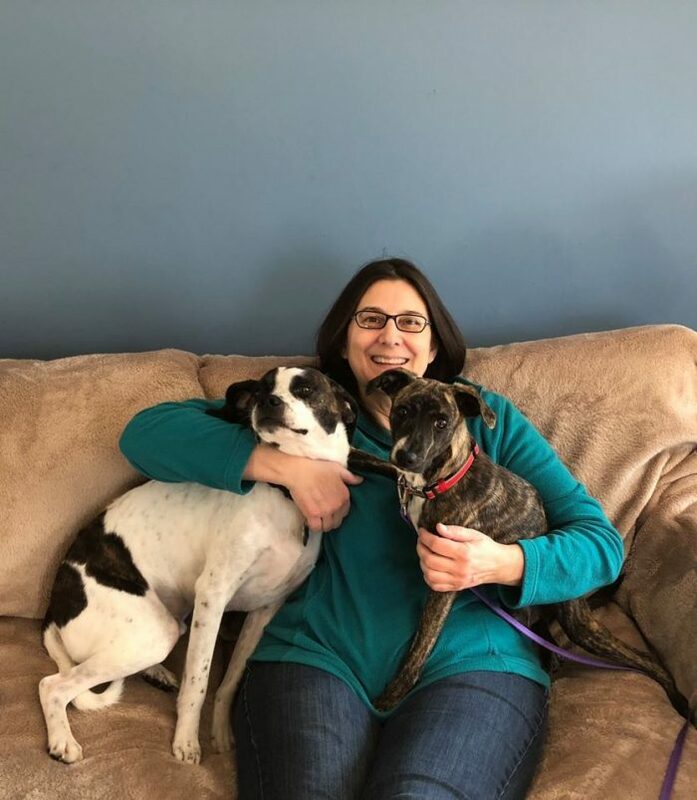 Grace Willow will have a life full of love with her new mama, Amy, her canine brother, Petey and her five feline siblings. Gracie is already enjoying her woodswalks with Amy as her brother Petey shows her the ropes! And much to everyone’s surprise, this sweet sato from Los Machos Beach in Puerto Rico seems to be enjoying the snow! Huge heartfelt thank you to Amy for her generous donation which will allow us to help several more dogs! Thank you for believing in us. Congratulations to you all and happy life sweet, Gracie Willow! Previous Post Vivien Goes Home!